NETA’s Leslie Laurie (left), regional director for Western Mass. and director of patient services, and Angela Cheek, dispensary manager. It’s been an eventful six years since voters first approved marijuana sales to treat medical conditions back in 2012. 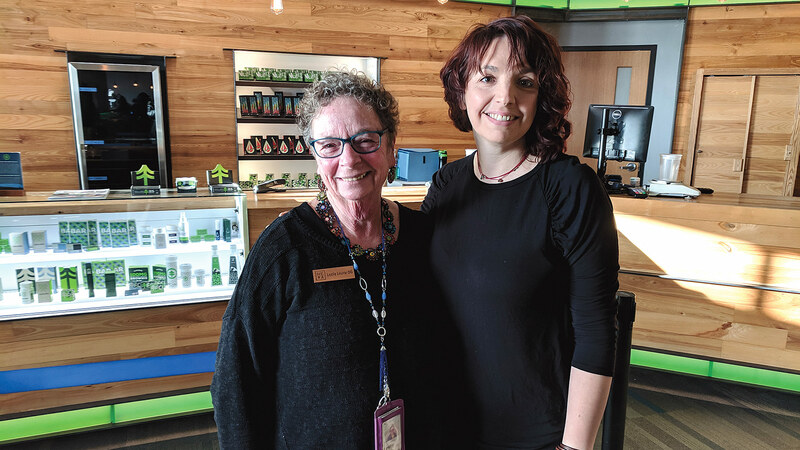 From that vote sprang New England Treatment Access (NETA) three years ago, and last month, the dispensary became one of just two stores in Massachusetts selling cannabis products for adult recreational use as well. NETA’s co-founder says the company has proven itself to be a good neighbor and an economic driver — and promises to be even more so in what is certainly a bold new era for marijuana in the Bay State. When Kevin Fisher came to Massachusetts to help launch a medical-marijuana dispensary, he was already a veteran of the industry in Colorado, with plenty of passion to boot. Fisher’s family, like so many others, has been struck by cancer, he said, and the idea — first as owner of Rocky Mountain Remedies in Colorado and then, starting in 2015, as co-founder of New England Treatment Access (NETA) — was always to draw in people with chronic and even terminal illness who may consider cannabis a viable therapy. By the time NETA opened its doors in Northampton and Brookline, the anecdotal evidence for the drug’s effectiveness had been well-established elsewhere, he noted. 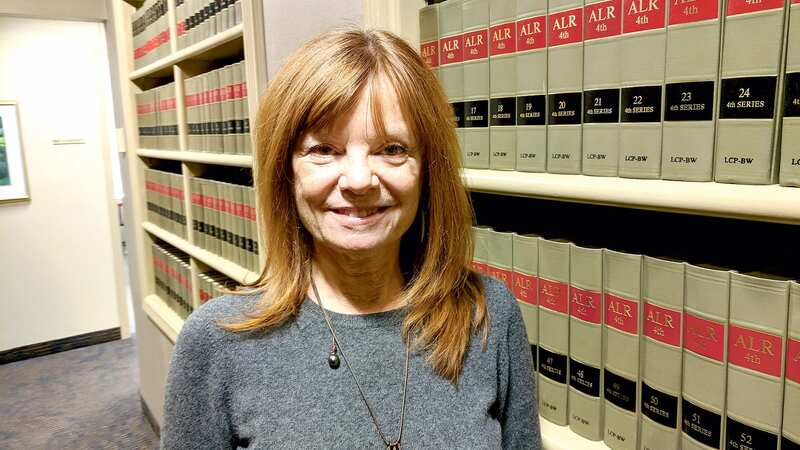 “We knew patients were using these therapies for a broad range of conditions,” Fisher told BusinessWest, before praising the law crafted after voters approved legalized medical marijuana in 2012. Now, another law has significantly altered NETA’s business model. On Nov. 20, the company’s Northampton site, as well as Cultivate Holdings, LLC in Leicester, became the first facilities in the Northeast to sell marijuana to the public for adult recreational use. It’s certainly a welcome shift for many in the Valley, but it comes with challenges — concerning consumer safety, public perceptions, even traffic on Conz Street, which backed up significantly at certain times in the days following Nov. 20. But Fisher said NETA has long been preparing to meet them. 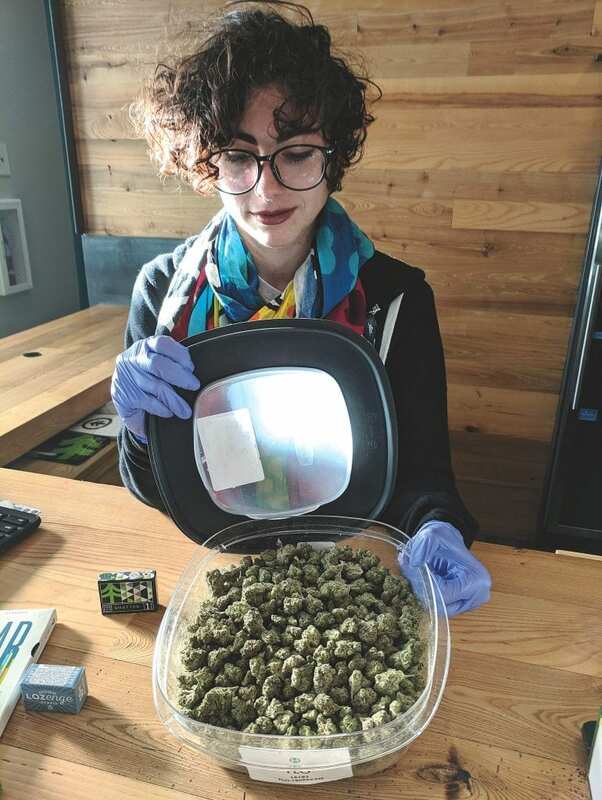 Hannah Rosenbaum, one of NETA’s patient service associates, with some of the ‘flower’ available for purchase. 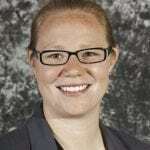 Early on, for example, the organization brought in Leslie Laurie, former head of Tapestry Health and a long-time expert in public health in Western Mass., as its regional director. “She had expertise we could benefit from, a perspective on patients’ needs in Western Mass.,” Fisher said. The founders also assumed — correctly, as it turned out — that the progressive culture in Northampton would prove welcoming to a dispensary that first sold cannabis products to a patients with prescriptions, and, now, to any adult with an ID. By contrast, Northampton was always a smoother fit, and is currently the only NETA site approved for recreational sales, as the licensing process continues in Brookline. Time will tell if issues arise, of course, but for now, Fisher is pleased with the business — customers are still waiting in line most days — and NETA’s continued growth as what he calls a true community partner. 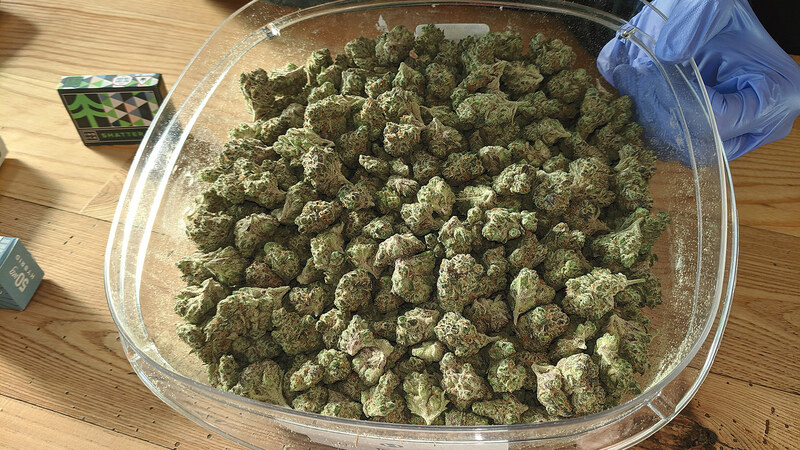 In 2016, four years after the similar vote on medical marijuana, Massachusetts residents voted to legalize recreational sales to adults age 21 years and older. If they present a government-issued ID (such as a driver’s license, ID card, or passport) for verification, customers may purchase up to 1 ounce of ‘flower’ or 5 grams of concentrate. Certain potency restrictions, including a 5 mg serving-size limit for ‘edibles,’ apply to non-medical products. However, Fisher was quick to note that, with the introduction of recreational sales, NETA’s medical-marijuana patients will remain the shop’s priority. Patients with prescriptions have their own lines, and at least 35% of each day’s inventory is reserved for patients. In short, the customer experience has not changed for people seeking to fill scripts. As for those waiting in line for recreational sales, Fisher said it typically takes 20 to 30 minutes to get through, but technology is available to shorten the wait NETA uses a reserve-ahead app to view the daily menu, reserve an order online, and have it ready for pickup at a certain time later that day. In addition, for people looking to gauge the wait at any given time, NETA offers continuous live wait-time updates on its website. It has also doubled customer service staff and remodeled the stores to offer nearly twice as many service stations. 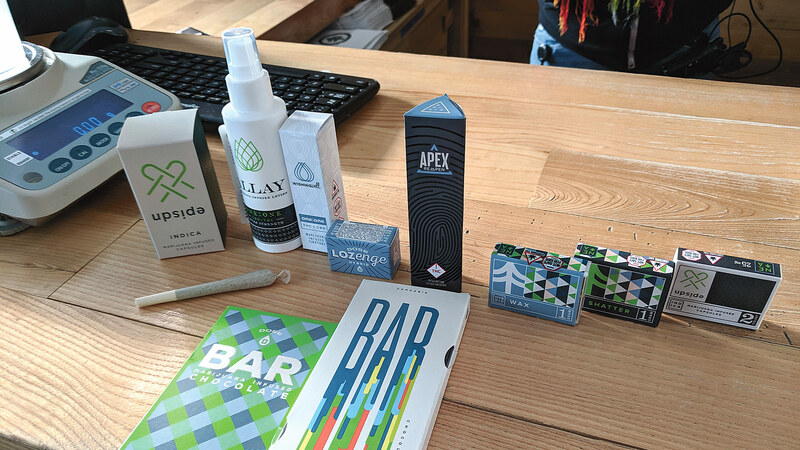 Also ramped up are efforts to educate customers about cannabis products — a key factor, considering that many users are likely to be inexperienced. In addition to the ‘low and slow’ guidance, NETA’s consumer-education materials emphasize elements like a ‘what product is right for me’ guide; advice against driving or using heavy machinery under the influence, public consumption, and traveling across state lines; a potency and tolerance tutorial, safe storage; and recognizing substance-abuse signs and identifying resources for additional help. Recognizing that some of the opposition to legalized marijuana came from individuals concerned about products getting into children’s hands, all NETA product packaging is child-resistant and labeled with revised warnings and clear information to ensure that people can identify edible products as marijuana-infused and not safe for children. In addition to training staff to emphasize responsible consumption when interacting with consumers, NETA has retained a full-time training coordinator to continuously develop and manage retail-staff training. As it is for the Cannabis Control Commission, which encourages prospective customers to know the law and consume responsibly. Beyond Northampton and Brookline, Fisher said, NETA’s cultivation facility in Franklin — which has nearly doubled its capacity in anticipation of adult use — continues to invest heavily in research and is developing a pipeline of products designed to improve customers’ experiences and address specific medical conditions and symptoms. And, make no mistake, even though adults can buy cannabis products without a doctor’s prescription, he added, it still makes sense to receive and renew certification as a patient — not just because of the lessened wait to be served, but because patients also avoid the 20% tax on adult-use sales, and can access a yearly voucher program to help offset the cost of being certified. NETA’s products for sale include not just smokeable flower, but marijuana-infused capsules, lozenges, lotions, chocolate, and much more. Overall, Fisher is a believer in the benefits of this industry, in terms of healthcare, quality of life, and economic benefits, like taxes paid and workers hired. The company employs close to 600 people, more than 100 in Western Mass. alone. And for adults who have no particular health condition but simply want to partake as an escape from life’s stresses, well, he believes there are far worse alternatives for that. And, he was quick to add, that guy selling pot on the corner, in states where it remains illegal, doesn’t check an ID like a responsible dispensary does. How Will Availability of Recreational Marijuana Affect the Workplace? By Erica E. Flores, Esq. It took almost two years, but Massachusetts regulators have finally started to issue licenses to businesses looking to grow, manufacture, distribute, and sell recreational marijuana products in the Commonwealth. 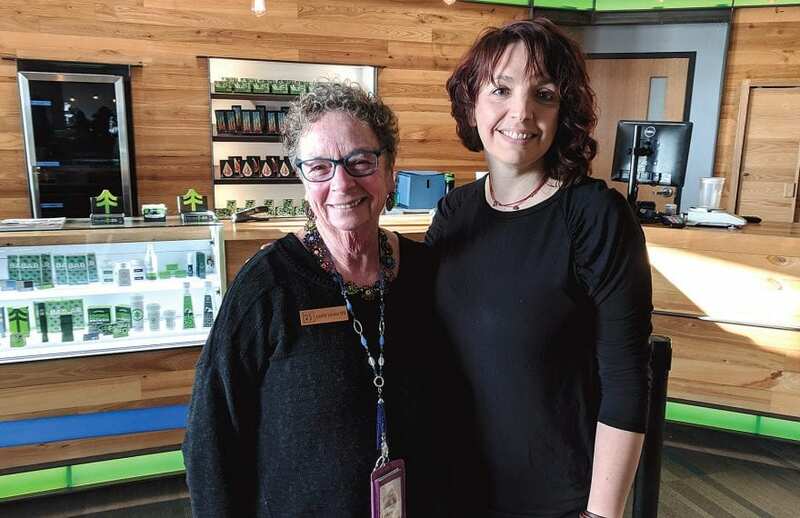 The first license went to a cultivation facility in Milford back in June; since then, the Cannabis Control Commission has issued licenses to six other businesses, including provisional licenses for retail locations in Northampton and Easthampton. 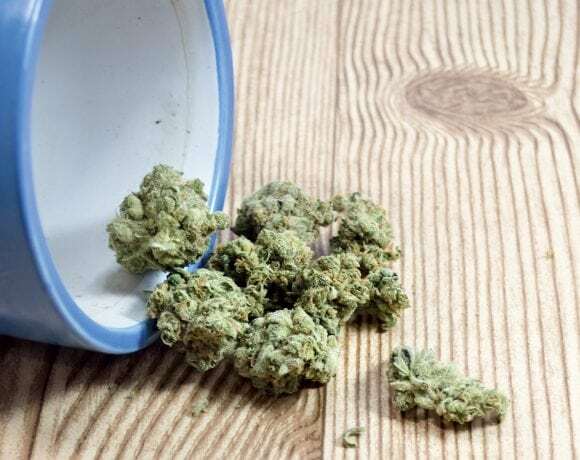 Despite this progress, however, retailers cannot open their doors just yet — retail marijuana products must be tested for various contaminants before they can be sold, and the commission has yet to issue a license to a testing facility. 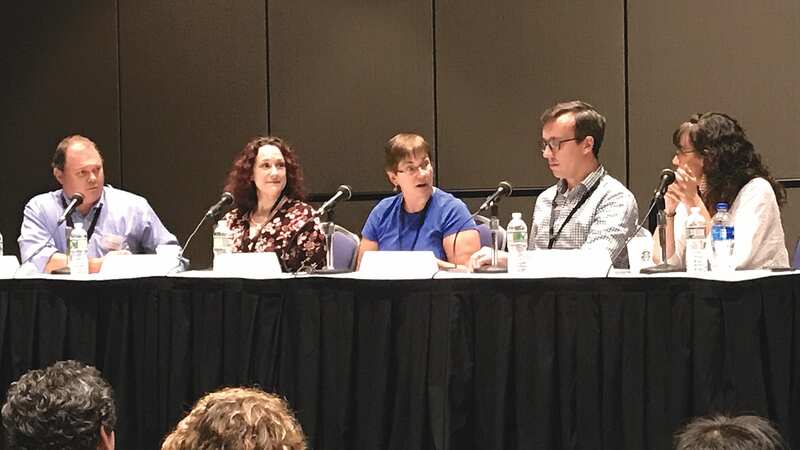 But with the licensing process finally picking up steam, and public pressure on the commission to allow the voter-approved industry to take root, Western Massachusetts employers may be wondering how these changes will affect their workplace and what they can or should be doing to prepare. This means that employers who pre-screen job applicants for marijuana, have drug-free workplace policies that prohibit employees from working under the influence of drugs or alcohol, and who conduct other lawful drug tests of employees may continue their current practices, and need not accommodate an employee’s use of marijuana for recreational purposes, even when they are off duty. That being said, the availability of marijuana products for sale at retail locations (and, eventually, at so-called “cannabis cafes”) will likely drive an increase in marijuana use by adults across the state. This means that employers may see a rise in positive drug-test results by applicants and those who are subject to random testing. Employers may also see an uptick in employees arriving to work impaired and/or using marijuana products on the job. 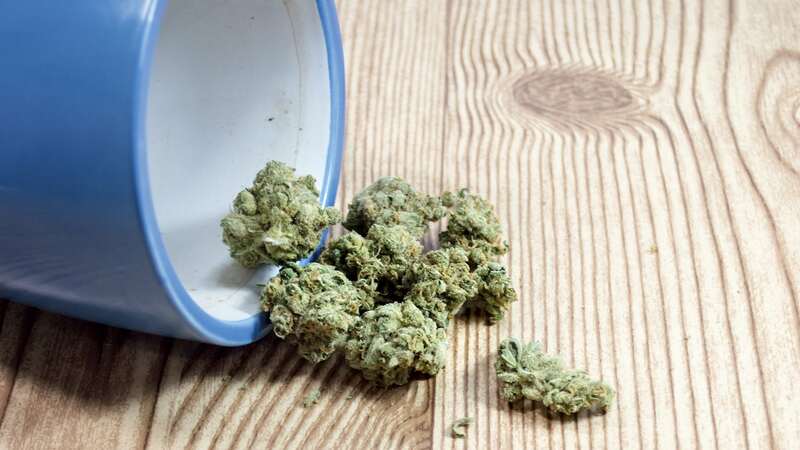 To combat these potential problems, employers who have drug-free workplace policies might consider issuing reminder notices to employees making clear that their policies apply to marijuana just like they do to alcohol, which is also legal. Employers may also want to adopt a reasonable-suspicion drug-testing program, if they do not have one already, and train their managers and human resources professionals about how to recognize the signs and symptoms of marijuana impairment and how to properly document their observations. Such evidence, in combination with a positive test result, can help an employer prove that its reasons for disciplining or terminating an employee were legitimate should the employee challenge that decision in a legal forum, particularly given the fact that currently available drug-testing methods do not measure current impairment; they can only detect that the drug is in an employee’s system. Employers may also want to reconsider the scope of their pre-employment drug-testing programs. Such tests are legal in Massachusetts, but a 2016 decision out of the Mass. Superior Court suggests that employers who screen applicants for non-safety-sensitive positions run the risk of being sued for an invasion of privacy. Accordingly, employers can reduce their risk of a privacy claim (and possible liability) by eliminating marijuana from the testing panel for non-safety-sensitive positions or even doing away with drug screens for such positions altogether. 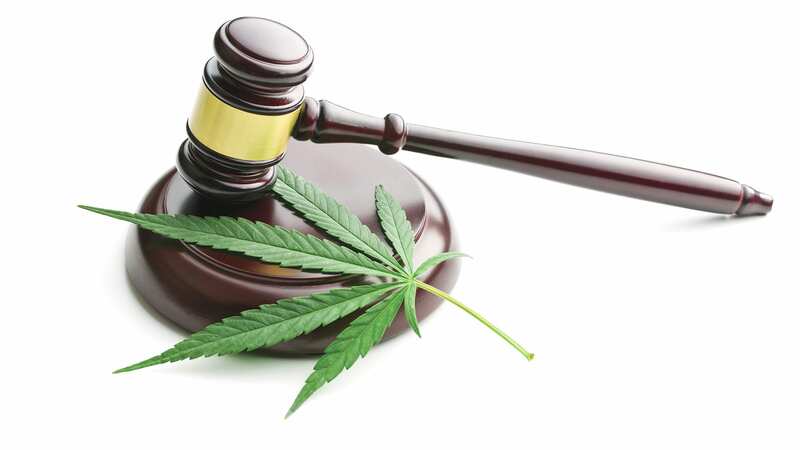 Finally, employers should be prepared to address requests by prospective and current employees to tolerate the use of marijuana as a reasonable accommodation for a disability. 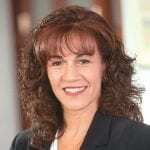 Last year, the Supreme Judicial Court ruled that Massachusetts employers have a legal obligation to accommodate a disabled employee’s off-site, off-duty use of medical marijuana, pursuant to a valid prescription, unless there is an “equally effective alternative” or the employer can demonstrate that the accommodation would be unduly burdensome. 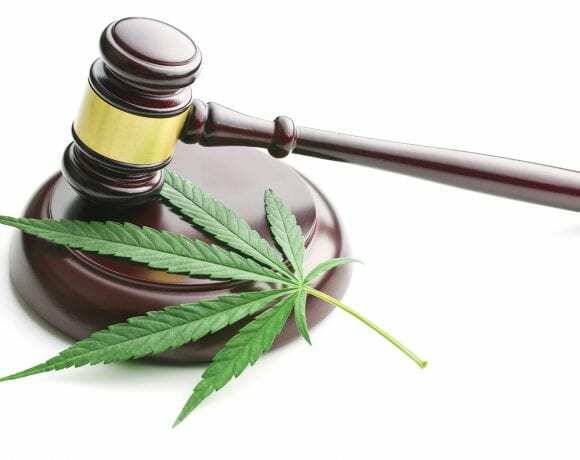 The decision relied, in part, on the language of the medical marijuana law, which guarantees to registered users the continued benefit of all “rights and privileges.” But many disabled employees may choose to bypass the medical marijuana registration process when they are able to obtain the drug at a recreational shop, potentially at a lower cost, while avoiding the cost, time and potential stigma associated with becoming a registered medicinal user. Must these employees also be accommodated? Technically, the SJC’s decision applies only to employees who have registered as part of the medical marijuana program. Additionally, both the legislature and the Cannabis Control Commission may seek to keep it that way. To be sure, it may not be such a good idea for doctors and other healthcare providers to be able to recommend marijuana as a treatment for a medical condition without going through the process that would enable them to actually prescribe the drug. Further, it may be bad public policy to encourage disabled persons to self-medicate by using marijuana products that are designed for recreational use as medication. On the other hand, if an employee can demonstrate a disabling condition and the absence of an equally effective alternative to marijuana, allowing employers to deny the accommodation just because the employee obtained the drug at a recreational shop seems somewhat arbitrary. These competing considerations are not likely to be resolved all at once, and certainly not right away. So employees who do not want to risk becoming the test case should give some thought to the pros and cons of accommodating such employees and devise a strategy that makes the most sense for their unique business. When in doubt, employers should consider retaining employment counsel to help them navigate these difficult and ever-changing legal issues.